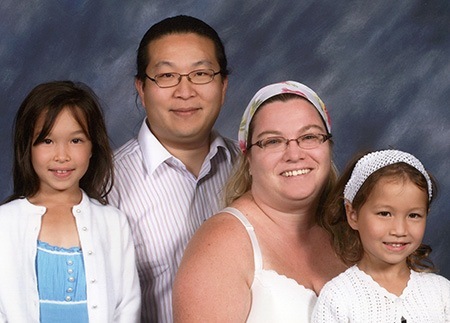 Here’s a family photo that was taken at church this past September 2008. You are currently browsing the Shiobara Family Blog blog archives for October, 2008. Suzanne is 16 years, 2 months, 2 weeks, 3 days, 1 hour, and 37 minutes old. Charlene is 19 years, 1 month, 3 weeks, 10 hours, and 15 minutes old. Someone was crazy enough to lend us enough money to buy ourselves a house, back in June 2001! Here are some pictures of it. Here are some photos from our wedding, back in September 1999.